I'm sure I've missed a few Trans Tasman Flights in the nineties when it was common to fly on a 747.All but one trans-Tasman flight were economy class (with business upgrade on a TG flight) the BA flight from LHR to SIN was First Class Upgrade and the rest all business (and except from QF, were upstairs) Qantas were never helpful getting upstairs and I've held a grudge ever since. LH flight this year is upstairs J.
I worked on the 747 for years. The 747-100 originally came with a lounge for a small number of passengers to use. Some had small tables also. They were eventually converted to paying passengers as you were not supposed to be there during take off and landing. I've only been on 3 so far, all 3 -400's, all 3 on Qantas. My first 747 flight was on a Pan Am aircraft named Maid of the Seas in 1988. It was LHR to JFK. A bit off topic, but have you flown on any other ill-fated aircraft? First 747 flight was to go to college in Spain on IB 747-200 (EC-DIA) sked JFK-MAD, but for some reason we diverted to AGP. They took us off the a/c and put us in a holding area and did not allow us to clear immigration until we reached MAD, never found out the reason. Thanks to that I got a great shot of the a/c from the ramp, completely unobstructed since there was no jetway. for me, 747 will always represent the romance of travel. All my 747 flights were with BA on the 400 series. The first was in 2006, BA288/289 PHX-LHR-PHX, and then again in 2008. The 747 will always be one of my favorite aircraft. My first 747 was Air France 1971 from BOS or JFK to Orly. I don’t recall. In 1973 I flew PA BDA-JFK. 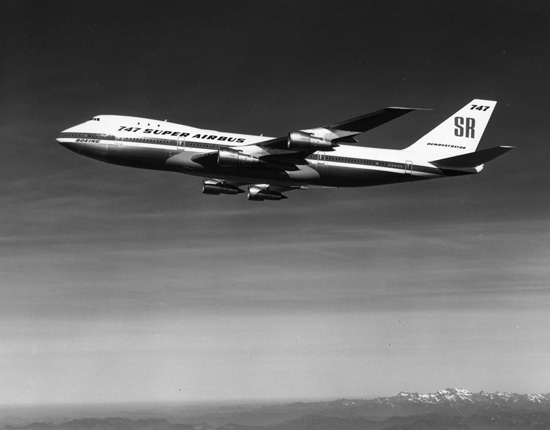 Don't see a thread for the 50th anniversary of the first test flight coming up next month-What was your first 747 flight or interesting anecdote? Mine was in 1972 Pan Am 747 100 JFK to Rome on a student fare where you bought the round trip ticket for $250./ or so but could not confirm a reservation until 7 days before the flight. and then many flights on BA, CX, SQ, AF, AI, and KE, in the 2000's. Many happy memories--especially upstairs. Long Live the Queen! ...onboard Inaugural flight HNL-LAX September, 1970. Now its time to get one of those beautiful -400's into a proper United museum. Bunch of them sitting in VCV. SFOMX would be a great location. My first flight was in 1974 when I was two and it was a Pan Am B747-100, JFK-FRA. I don’t remember that flight, but I do remember a lot of other 747 flights I took on LH, PA and TW when my mom and I visited my grandma/oma in Germany every summer. I also flew on the 747-200 and 747-400. Singapore Airlines- South Africa to New Zealand? Seems a strange routing , was this a charter? No, regular route. Flown it several times. At the time (not sure about now), it was one of a few options. I would imagine they still operate that route. MH use to do it too, but pretty sure they cancelled. CX and QF were the 2 remaining options that I'm aware of. My first flight ever was on TWA 747 N93104 (l/n20) LHRJFK 27 March 1970. I have since been fortunate to have flown on every version except the -8. Without a doubt, the 747 is my favourite aircraft and I firmly believe the greatest and most influential commercial aircraft ever built. 1984 STL - DFW on Transamerica. Remember that they checked in for the flight on the 2nd floor above the main check in hall of STL. Very crowded area to check in a 747. When we got to DFW, sat on the tarmac for well over an hour waiting for another 747 for a foreign carrier (either JAL or Korean) to leave the gate. CX seems to be the operator of choice now. Generally speaking CX, SQ, QR, QF, and EK offer the most direct flights from SA to NZ. Of course you could also fly SA to HKG then transfer to CX or NZ to AKL. MH no longer flies to JNB that I'm aware of. I've had the pleasure to fly on the Queen many happy times, but the first time -sometime in 1991- still stands out: on a half empty, RB211-powered MH -200, Zurich to Kuala Lumpur via Dubai. The aircraft was utterly beautiful, in pristine conditions inside and out, with colourful, thickly-padded seats, and the most amazing crews. I remember being so impressed by the really quick take-off and steep ascend on this powerful giant. The meals were FANTASTIC. I also had the opportunity to have a looong visit in the cockpit and chat to the pilots. Wow, lovely memories. Last flight: on a lovely -400 belonging to TG sometime in 2015. My first of forty 747 flights was Northwest Orient flight #22 GMP-HND (747-100) on April 6, 1971. I was 2 years old at the time, so I don't remember it, but I was told I screamed the entire way to Chicago, including subsequent Northwest Orient flight #4 from HND-SEA and SEA-ORD (both 747-100). I've flown on the 741, 742, 744 and 748i. As a spotty teenager who loved anything that flew 1969 and indeed everything around that time was so exciting. People were walking on the Moon,'The Jumbo' was this extraordinary aircaft that would bring long distance travel to everybody and of course the magnificent Concorde whisking people across the Atlantic at over twice the peed of sound. No one ever went back to the Moon,let alone Mars,The Jumbo has ( effectively) gone and Concorde left the room years ago. Still we always have Facebook instead -wow. My first was January 1991 on the United Airlines 747-400 from Sydney to Los Angeles. The first 747-100 was the same month with United from Honolulu to Sydney with a stop in Auckland. My only 747-300 was Nalanji Dreaming of Qantas from Sydney to Brisbane in 2005. And the Boeing 747-400ER with Qantas - first one was Wunala Dreaming from Hong Kong to London, also in 2005. First Upper Deck and first Business Class for me was Qantas Sydney to Hong Kong in 2005. My first flight in the nose was in First Class on British Airways from Bangkok to Sydney in 2007. Still never flown on one, I had a quick look round a BA 744 at Heathrow maintenance base a few years ago but still never been up in one. I really need to remedy that soon. My first B747 flight was on Air India, BOM-BKK sector in June 1981. In fact this was my first international flight. Amazing in flight service but i spent most of the time in the flight deck as dad was the First Officer. An airplane might disappoint any pilot but it'll never surprise a good one. Way back in 1975 when the "Jumbo" was still a bit of a novelty! Well, one advantage (or disadvantage) of being old: my first ride was in a Pan American 100 (N755PA) operated by Delta from Atlanta to Orlando on Septeember 18, 1971. Many since and most recently on November 3, 2018 from LHR to ORD on BA obviously. First was to ride on a 747 and most recent trip was to ride one for, probably, the last time. Still want to ride an 800 so that is on the "to do" list. I have flown in a 100, several 200's, one 300 and many 400's. Missed the SP. My first flight on B747 was on Air India on the BOM - LHR - JFK route. Then it was on Saudia on BOM - JED. Then after many years I flew on Thai Airways on BOM - BKK and now 2 months ago I flew AMS - YYZ on KLM. My first 747 experience was in March, 1973 on a high school band trip from little old Vista, CA to Split, Yugoslavia. Swissair from JFK to Geneva and then onwards to Zurich. The Geneva - Zurich leg was basically just us kids, and it was fun to roam around the big bird checking out this novelty. As I recall, the forward stairwell was a circular staircase and not the more typical staircase that I became accustomed to when I lived in China and commuted from LAX to PVG often on 747-400s. NW45 LGW-MSP in February 1989. Just after boarding at Gatwick through door L2 and looking forward and aft...I found myself half-thinking that the thing was a building and that it was too big to fly. Great memories. My first 747 : BOS-ORD-SFO on AA Dec 1973, 747-100 and we used air-stairs to board at BOS. We had travelled from YHZ to visit my Grandmother in Carmel California. I was very young at the time but remember there was no movie only a fabric collage of some sort on the movie screen cover where you had to find two matching patterns. I remember the wing flex when we departed ORD on a windy day and I asked the FA if things were ok.
My first flight was on a KLM 747-300 going from AMS to Oranjestad, Aruba. In 1990, just after Irak invaded Kuwait. My last flight on a 747-400 was a BA flight from DEL to LHR in 2006. I've taken six rides on the queen. My 1st was a DOD military flight from the now closed McGuire AFB- FRA. In 1984. one class economy seating. I'm sure it was at MTOW or really close to it. Two round trips so four more flights all on PAN AM. FRA-JFK none were close to max pax capacity. Window seats on all of them. One of them was the very last seat in the back. As it wasn't a crowded plane I was going to move up, but then decided since I had no one in my last row I could stretch out, sort of my own life flat. Right next to the bathroom's and the FA rear galley, I ended up enjoying my rear seat. Talked occasionally to one of the FA's took a nice comfortable nap, the FA supplied me with a pillow and a blanket. Other than the seat, it was basically a mini 1st class experience. .
My last was in 1987 after transferring to LA AFB but with several days to kill I stayed with my aunt and uncle. EWR-SFO. Bought a car while I was in San Jose. Very possibly my last trip aboard the queen. With exception to the ridiculously crowded and noisy 1st trip. I immensely enjoyed them all. My return trip from Germany was my one and only DC10. I enjoyed this plane quite a bit as well, and it wasn't crazy crowded. I was surprised at how big it was, at least in the inside. Not quite that of the queen, but impressive in it's own right. I don't know if there is any remaining pax DC10's left, if there are it's highly unlikely I'll fly on one again. But it too was an enjoyable flight. I remember mixed feelings, flying on a new plane, but wanting a 747. As at the time I didn't pay attention I'm assuming these were all 200's, although possibly some 100's as well. I will miss both of those planes. My first 747 flight was on AA in Feb 1980 winter break from junior high school JFK-LAX. I remember AA served fried chicken, a Kraft cheese and cracker snack and a cookie. The actress Joan Van Ark was on this flight. The movie was The Great Santini with Robert Duvall. To this day it is one of my favorite movies. UA SFO-EWR in April 1980. I was an unaccompanied minor. Plane went tech at a stop at ORD and did not get in to EWR until 3am. I listed to the same loop of pop songs over and over again on armrest radio. Fleetwood Mac "Sara", Cliff Richard "We Don't Talk Anymore", etc. My most recent trip on a 747 was on CA from SFO to PEK. I want to say the seats were the best. Better than any 787 (9 abreast) or 777 (10 abreast). 1985 - Pan Am 747-100 LHR/JFK/LHR. 1994 - BA 747-200 LHR/MIA/LHR - return was memorable in that we had make an emergency landing at SNN as low on fuel. I will miss the queen when she is eventually retired. I only flew on a 747 once, El AL ORD-TLV, the TLV-ORD in January 2000, that trip was 10 of the best days of my life. Plane was loaded, and they put me in a middle seat for both flights. On the return trip one of the passengers had a heart attack and died, and I ended up in one of the FA jump seats in the galley area so they could find space to store the body away from the rest of the passengers. Saw a lot of things in Israel I will never forget. Nope. I flew the Maid of the Seas three months before Lockerbie. I have not flown the 747 yet; I plan to eventually make the first 747 I fly (and wide body in general) Korean Air's 747-8i. well well well, the list gets very long. My first 747 flight was in Oct 1979 on SQ flying FCO-BAH-BKK, and back. Gotta change that before it's too late! Does anyone know of a locomotive or ship class that has been in constant production for 50 years? One of the most iconic designs in aviation history, second perhaps only to the Concorde, marks 50 years in the air today. Ironically, one of its names was "Super Airbus", promoting the heavy use, large capacity and low CASM it offered in its SR version. After many changes over the years, its production run will likely end sooner than later. But we will see it in the air every day for at least another 25 years, so we can also celebrate its 75th anniversary. Happy Birthday!